From the man who coined the term "net neutrality," author of The Master Switch and The Attention Merchants, comes a warning about the dangers of excessive corporate and industrial concentration for our economic and political future. 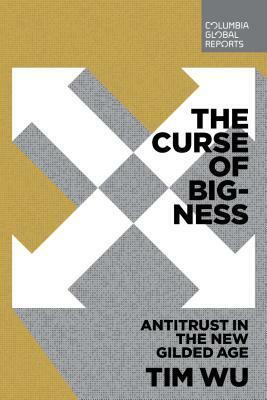 In The Curse of Bigness, Columbia professor Tim Wu tells of how figures like Brandeis and Theodore Roosevelt first confronted the democratic threats posed by the great trusts of the Gilded Age--but the lessons of the Progressive Era were forgotten in the last 40 years. He calls for recovering the lost tenets of the trustbusting age as part of a broader revival of American progressive ideas as we confront the fallout of persistent and extreme economic inequality.